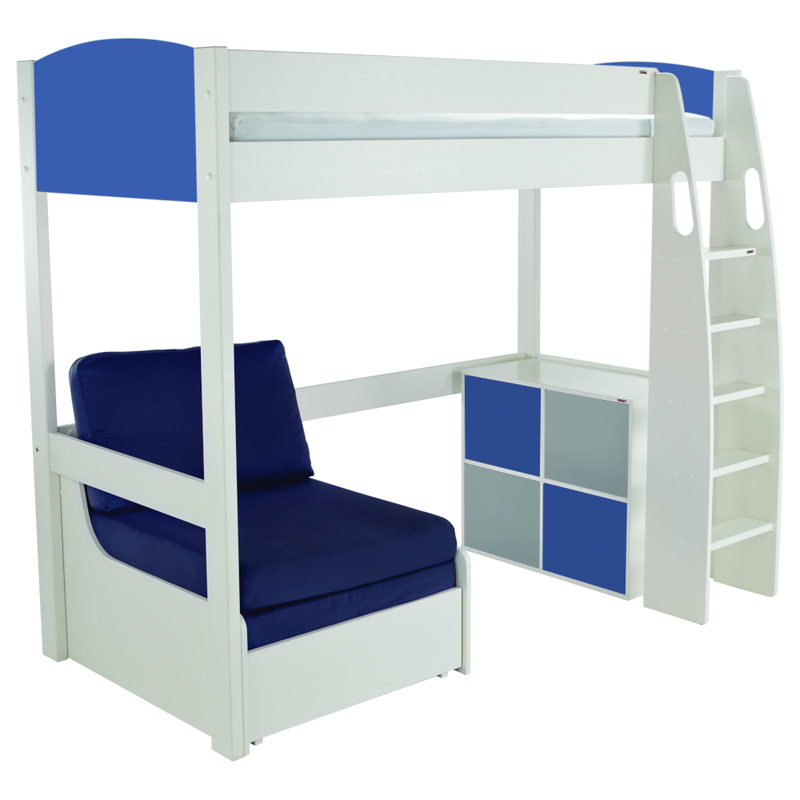 Includes Uno S Highsleeper with blue Chair Bed And Cube Unit with blue and grey doors. Includes 4 white Sleek Lined Push to open Doors. White lacquered finish and Blue Lacquered Headboards.